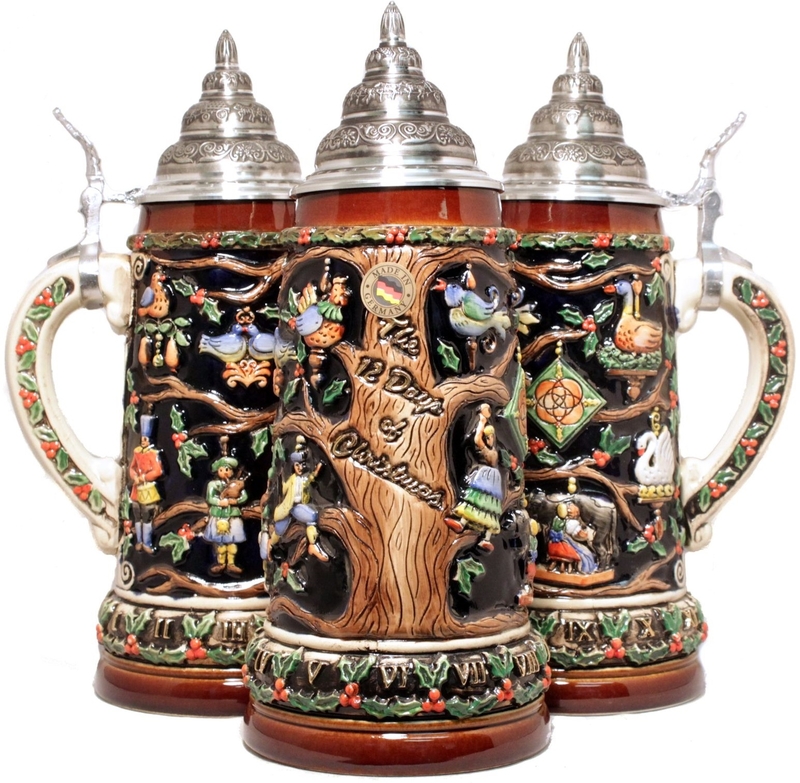 This beautiful beer stein was handcrafted in Germany by King. The handpainted relief features the 12 Days of Christmas. 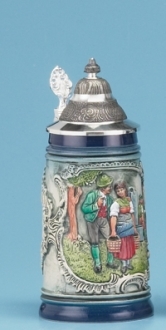 This large 3/4 liter stein is about 11.5 inches tall.